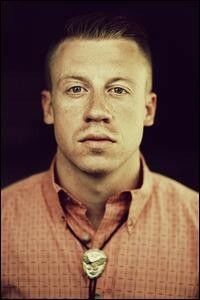 Right now the biggest rap song in America is Macklemore & Ryan Lewis's "Thrift Shop." Or at least according to Billboard it is—at the moment it's number two on the Hot 100, right behind Bruno Mars's increasingly unstoppable-looking Police pastiche "Locked Out of Heaven," as well as number one on the R&B/Hip-Hop Songs chart, the R&B/Hip-Hop Digital Songs chart, and the Rap Songs chart. In the real world you can spend all day listening to rap radio, cruising rap blogs, and checking in on rap Twitter and never hear a note of "Thrift Shop." If you look at the Hot 100 chart online right now you'll see a little trophy icon under Macklemore's face with a note that his single is a "Digital + Streaming Gainer." That means that the song's benefitting heavily from Billboard's new reweighted methodology for determining chart position, which incorporates digital downloads and streams as well as traditional radio spins and tends to have some strange side effects, especially on genre-specific charts. The Internet has been wreaking havoc on genre distinctions and demographics for the better part of a decade now, and that's mostly been a good thing, opening up listeners to sounds that they likely never would have heard in a pre-YouTube world and providing the fuel for one of the most fascinating moments in pop music in decades. But it's becoming clear that the new pop utopia has some downsides. My friend Maura Johnston recently tweeted about Macklemore's number one position that "these changes sort of dilute the importance/utility of genre charts and might wind up homogenizing what execs will sign." She also calls it a "clear example of Internet-era hegemony running wild"—the tastes of Internet-connected musical omnivores deciding the specialized charts of genres like rap and country that are still culturally attached to the radio. Of course this is kind of the direct democracy, free of the influence of programmers at corporate-owned radio stations and spanning a diverse array of demographics, that was supposed to be one of the good things to come out of music going online. Obviously that's turned out to be a double-edged sword. But it's not like this sort of thing hasn't been going on for a while. "Thrift Shop" is also at the top of the rock charts despite the fact that there is almost nothing arguably "rock" about the song except that Macklemore's white. And that's been going on for decades now.